Originally TECLA was built in Vlaardingen, in the south of Holland, as a fishing boat for herrings. Launched under the name of Graaf van Limburg Stirum she fished the Doggersbank for over 10 years. As the fishing fleet shrunk she was sold to Denmark to become a freighter under the name of TECLA. 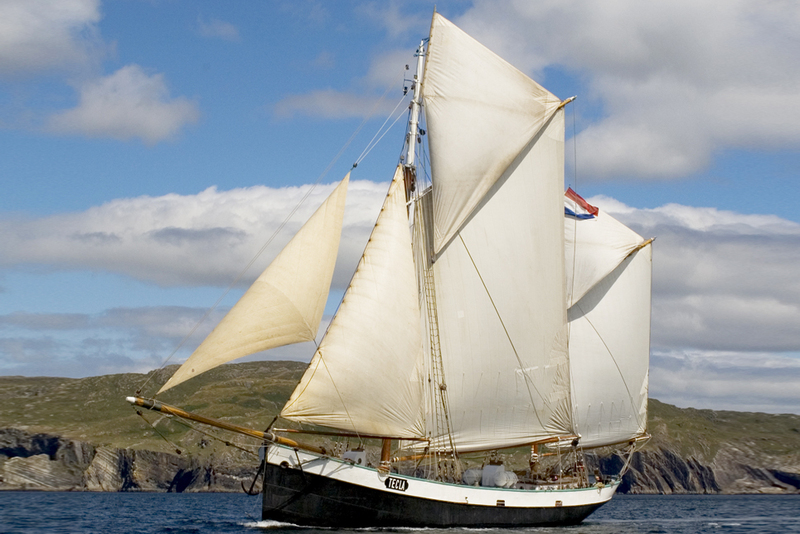 She returned to Holland in the 1980’s to be re-fitted as a sail training vessel. 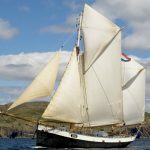 She is now owned by a family of four and she is one of the most original and beautiful sail training vessels in Europe. On board trainees from all over the world learn how to sail a vessel with a gaff rig and learn how to navigate near land and on open waters. Tecla has competed in many Tall Ships Races and TS Regattas, always with a good result. At the moment she is sailing her firest circumnavigation, and one of the legs will be the Sydney-Auckland Tall Ships Regatta. On board you will find a professional crew, with a good portion of competition, but also a crew that believes that sail training can make a difference. Team work, but also the individual development score high. Get on board and become a member of the Tecla family.